A big make-up trend from this season’s fashion week’s was Matte skin, but there is a fine line with this look, be careful not to take this trend too far as you may end up looking flat and dehydrated. Sometimes matte skin can age you – nobody wants that! Here are my top tips to nailing that powder fresh skin. 1 – Apply a lightweight moisturizer, nothing to heavy, massage into the skin & leave skin to absorb. If your normal/dry – Try Dermologica’s Skin smoothing cream and if your slightly on the oilier side then opt for a lotion like Clinique’s Dramatically Different Moisturising Gel. 2 – Use a primer before your foundation to smooth skin and keep foundation matte. I love Givenchy Mister Mat Mattifying Foundation – if your not super oily then just use on the T-zone! 3 – Use a lightweight liquid foundation, apply to the center of the face and blend outwards, keeping it sheer and conceal where needed. Try NARS Sheer Matte foundation or the Shiseido Perfect Refining Foundation – both great! 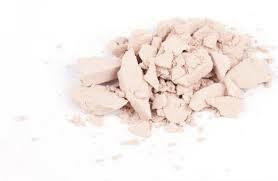 4 – Powder lightly, concentrating down the center of the face. Use a transparent powder to avoid a build up of makeup – I love MAC’s Prep & prime finishing powder it Reduces shine while optically minimizing the look of pores, lines, imperfections. A must have product for all makeup artists too. makeup, just blot away excess oil and re-apply powder if needed!